The pop superstar has left everything to her only child, 19-year-old daughter, Bobbi Kristina. Lawyer Kenny Meisalas said in a phone interview that "things with the family have been very smooth, no problems." He said things are proceeding normally, and he doesn't expect any challenges to the will. 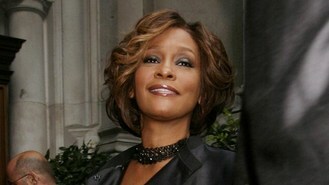 Whitney's will was filed in probate court in Atlanta Wednesday. It revealed that the late superstar left all her assets to her only child, Bobbi Kristina. Her sister-in-law and manager, Pat Houston, was named as the administrator of the estate. Meisalas declined to talk about Whitney's assets or possible debts. Whitney's money will be put in a trust, and Bobbi Kristina will get part of it upon turning 21, more of the money at 25 and the balance at 30. The singer's trustees are permitted to give her money from the trust for various purposes, including tuition, to buy a home and to start a business. The will was signed on February 3, 1993, about a month before Whitney gave birth to her daughter. The 48-year-old music star was found dead on February 11 this year in a Los Angeles hotel.